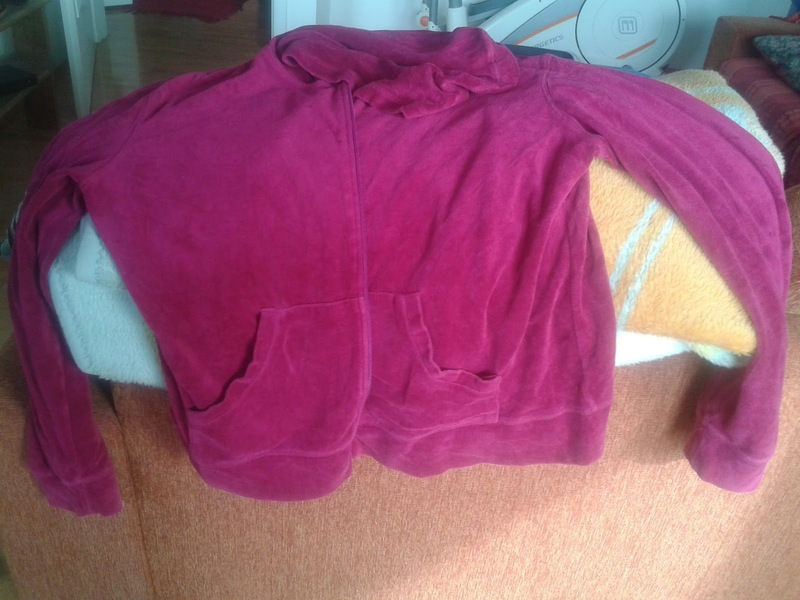 Refashion Co-op: Who remembers plush tracksuits? To answer the above question... apparently, I do. A decade ago we were all wearing plush tracksuits (mostly knock offs and no names) because they were IN. Then, we kept wearing them because they were so damn comfy! Shamelessly, I kept my suit all these years still preferring the bottoms as my go-to home wear. Although I rarely wore the top and bottom parts together, the zipper on the top part was broken last year, and I simply couldn't find the one of right colour and length to replace it. So, this sweatshirt was sitting in my refashion pile for a while now. 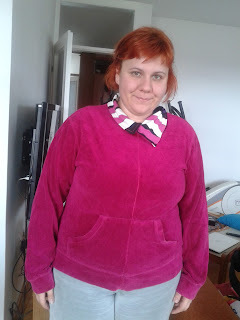 I decided to stitch it up and use some fabric scraps to convert the hoodie in a fun colourful collar. I am delighted with this save! I feel like I am going to have many cozy nights this cold spring! Please visit my blog http://curvyrefash.blogspot.ba/ for more similar projects. The bright collar definitely updates it. Great job!